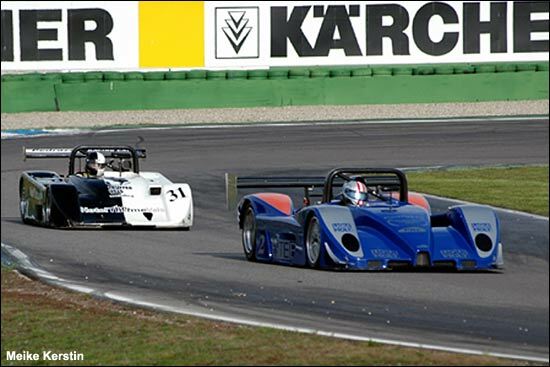 For the last of its eight race weekends, the Sports Car Challenge travelled to the German Grand Prix circuit (or as of 2007, the former German Grand Prix circuit) at Hockenheim. 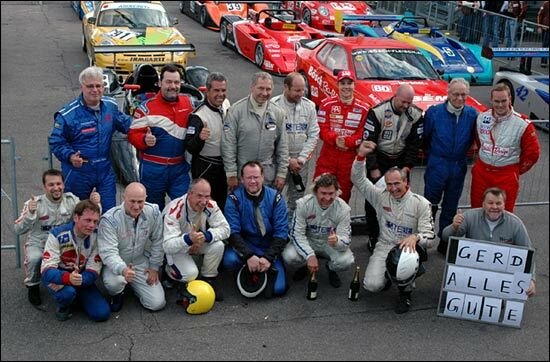 With the champions in the various divisions all but crowned, the race for the overall title was still open. First, though, Friday brought a major scare. Driving his PRC-BMW during free practice, German stalwart SCC competitor Gerd Beisel only completed a few laps before his car came to a halt in the gravel. As the marshals attempted to tow it to a place of safety, the tow cable snapped, and slashed Beisel’s hand. A hurried airlift to the nearest hospital was followed by four hours of surgery to try and save the severely damaged limb. It now appears that this has been accomplished; still, the mood in the SCC paddock was a sombre one. 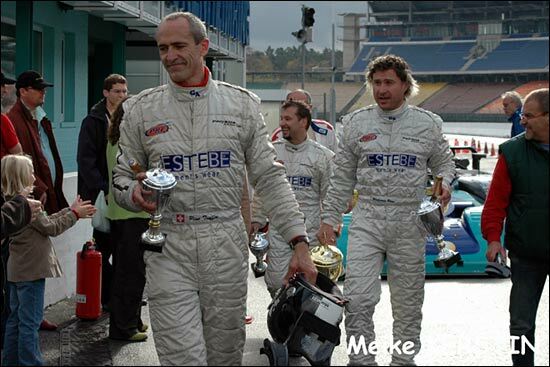 The racing resumed on Saturday, with both races held on that day; Emanuel Pedrazza in the lightweight 3,2l PRC-BMW occupied pole position for race 1, with Division 1 champion-elect Wolfgang Payr alongside him. 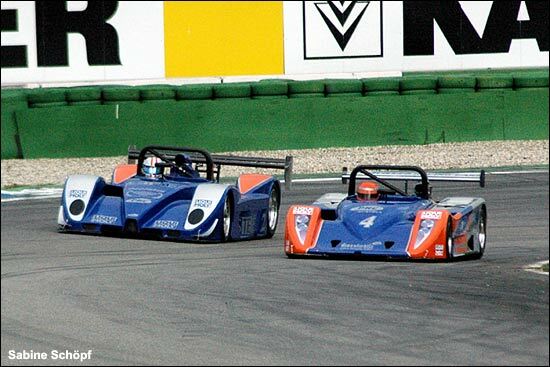 Payr’s rival for the overall Sports Car Challenge title of 2006, Division 2 leader Pius Truffer, was right behind them. These two, Payr and Truffer, above, provided most of the entertainment throughout the first half of this 14 lap race. Also fighting the good fight was Karl-Heinz Matzinger, who still had hopes of clinching third place in the Division 2 standings, some little consolation for a chequered season. He spent the initial laps dicing it out with Alexander Hin; the hard-charging hillclimb specialist from Germany (whose runs up the Alpine mountain roads rarely last longer than two minutes) later freely admitted that controlled aggression is not his forté; two spins spoiled his effort, but gave him yet more opportunity to charge through the field. 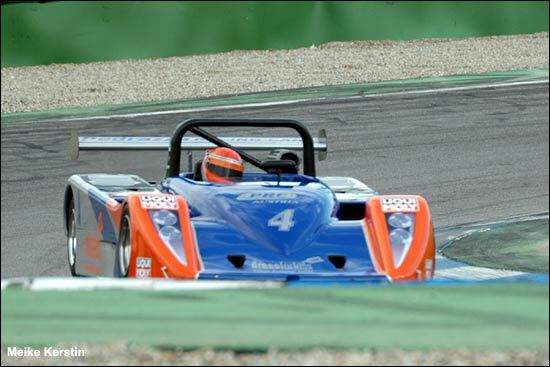 Undaunted by all this, Pedrazza in #4 scored a flag-to-flag win, while Payr’s second place now secured him the title of 2006 Sports Car Challenge champion. Truffer, Pedrazza and Payr, below. 2. Wolfgang Payr/A, PRC-Cosworth (2. Div.1), -21,872sec. Race 2 started as a confrontation between the PRC team mates, Pedrazza and Payr, and their very different cars. Pedrazza seemed to have it all his own way when he ran wide going into the Mercedes Arena – the first sign of brake trouble which would later take him out of the race. With his main adversary gone, Payr ended the 2006 season in style, celebrating his title on the top step of the podium. 2. Pius Truffer, PRC-BMW (1. Div.2), 30,481sec. After the final race of the year, the SCC family found the time to send a special message to their injured friends, Tony Sinclair and Gerd Beisel who will hopefully be back in action again next year. Tony Sinclair, who is still in hospital in Milan, recovering from his dreadful accident at Monza track, has a broken pelvis and multiple fractures to his legs (adds Harald Gallinis). Faced with three months in hospital, the Englishman is looking forward to the opportunity to be despatched back home. 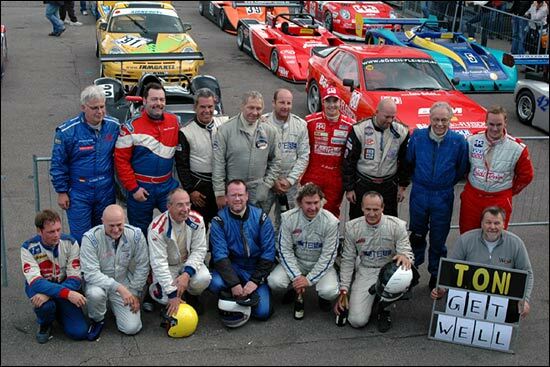 Walter Pedrazza and his crew are already hard at work to make 2007 the Sports Car Challenge’s best season ever; judging by the positive feedback and the interest from potential competitors the introduction of the GT class has brought about, they are on the right track.